Americans' interests and broadcast news coverage are at odds. Additionally, the tendency of the news media to focus on conflict rather than progress helps create an adverse environment for lawmakers. Perhaps we need a change of focus. Bloomberg released a poll this past Monday that included the most important issues facing the country right now (1,001 American adults, conducted July 8-12, +/- 3.1 percentage points). The top issues were: health care (35 percent), unemployment and jobs (13 percent), terrorism (11 percent), immigration (10 percent), climate change (10 percent) and the U.S. relationship with Russia (6 percent). These topics have little to do with recent media coverage. 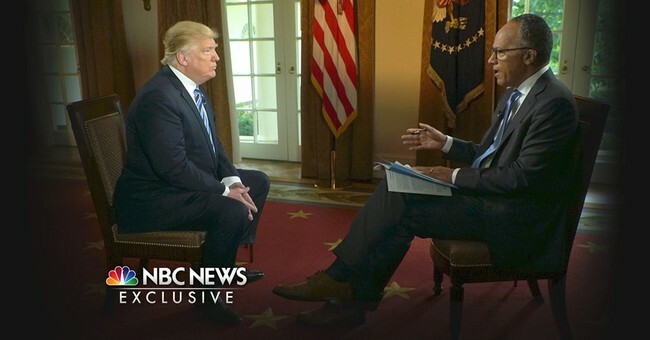 According to a Media Research Center analysis of the ABC, CBS and NBC evening newscasts from May 17-June 20, the top issue covered was Russia or the Comey Investigation (353 minutes). This was followed by climate change (47 minutes), fighting terrorism (29 minutes), the efforts to repeal and replace Obamacare (29 minutes) and the economy (5 minutes). How does this juxtaposition of news coverage versus Americans' interest in the issues affect the lawmakers themselves? Frank Luntz, the political pollster, recently conducted a focus group with three U.S. senators and nine U.S. representatives, (half of them Republicans and half Democrats). The lawmakers acknowledged the news media's negative focus on conflict. "Governing is about finding common ground with that person," said Rep. Tim Scott, R., S.C. "Unfortunately, too often, media makes a lot of profit off the contrast." This focus on conflict while paying scant attention to accomplishments makes a difference. "When we're dealing with the challenges of the day, the superficial, hyper partisan noise and rhetoric ... can sometimes drown out what really matters," said Rep. Tulsi Gabbard, D.,Hawaii. What really matters to Gabbard is the well-being of his constituents "I remember the people who 'hired' me, the people who voted for me to come here," he said. According to Rep. Michael McCaul, R., Texas, the media-driven pressure and conflict between parties has increased during his seven terms in office. "Now you have these outside groups scoring your votes. Now you have media picking fights with the other side, and the expectation is that we're gonna hate the other side of the aisle," he said. "It's destructive, and I've seen that change." While the media focuses on disagreements and conflicts, it fails to pay attention to a different, hidden side of Washington. "There's so many of us that get along so well, but you don't see that happen," said Sen. Mike Kelly, R., Pa. He said his relationship with Rep. Michael Bennet, D., Colo., was a case in point. "Mike and I worked together on childhood cancer, and that's something that's neither Republican nor Democrat." While members of the news media have focused on potential foreign influence in the 2016 election, Rep. Brian Mast, R., Fla., has a different concern. "If I were to point to anyone as the greatest saboteur of our election," he said, "it would be the press and the way they drive the message they want to drive." There is little acceptance in Washington for those who are different, at least ideologically. "The framers set this place up to resolve our differences," said Sen. Mike Bennet, D., Colo. "They set up this incredibly elegant mechanism to deal with our differences. And today, in our politics, we somehow don't accept differences." Luntz spoke to CBS News Anchor Elaine Quijano last week regarding his takeaways from this focus group. "The media focuses on the conflict rather than the effort to work together. Each of these members have worked with someone from the other party in the room on healthcare, the opioid challenge, or job training. There's actually a level of cooperation the American people do not know about because all they get is these 20-second sound bites -- and the angrier they are, the more likely it gets on television. If left to their own devices, without the pollsters and cameras, they actually could resolve so many of the differences they have. It seems like the pressure on them is so great ... not to cooperate and not to compromise, but they are getting things done," said Luntz. "The public just isn't always told about it." While the public can't control what the media reports, we can control which media outlets, if any, we watch. Just imagine a reality TV show titled "Getting it done, the real story of how elected officials work on your behalf" which focused on the top 10 issues Americans care about. Maybe that would be a show worth watching.